The language of mental illness: is it all madness? It was World Mental Health Day on Friday of last week and I got to thinking about how much has changed since mental health issues first affected my family over 30 years ago but then also how much hasn’t. 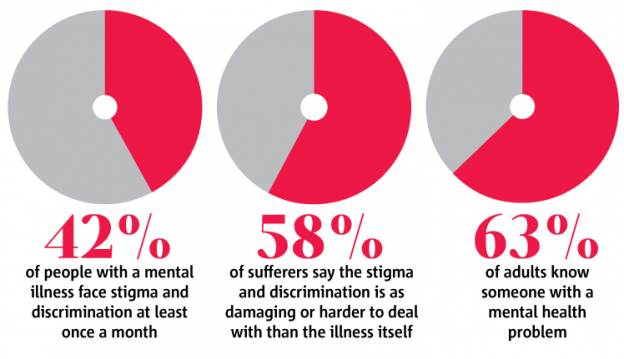 Some of the stigma of mental health illness has lifted but there are still a lot of people who are scared of sufferers and also many who believe they should just pull themselves together. This entry was posted in General Thoughts, Uncategorized and tagged depression, mental health, mental illness, schizophrenia on October 13, 2014 by dianne.